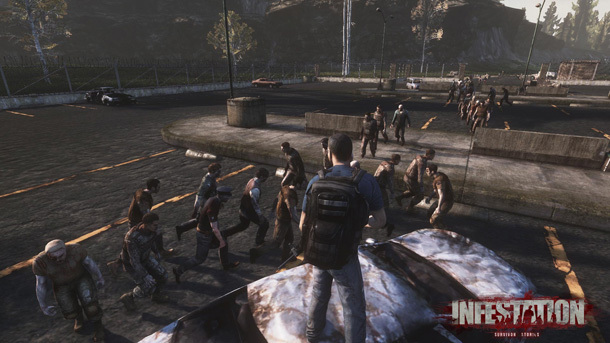 The War Z, the controversial PC game that was pulled from Steam shortly after release, and then re-instated, has changed its name. The game is now called Infestation: Survivor Stories. The game was pulled from Steam shortly after players called the game for not delivering on its promised features. game in order to prevent confusion with the other zombie game, DayZ. For more on the game, you can check out our Test Chamber, or check out the game’s official website. change in name and game logo. survival-simulation game set in an open world plagued with zombies. nomadic society where the sole objective is to survive at any cost. other players that may or may not be friendly. Players can visit http://infestationmmo.com/ for more information. company is backed and financed by Arktos Entertainment Group.